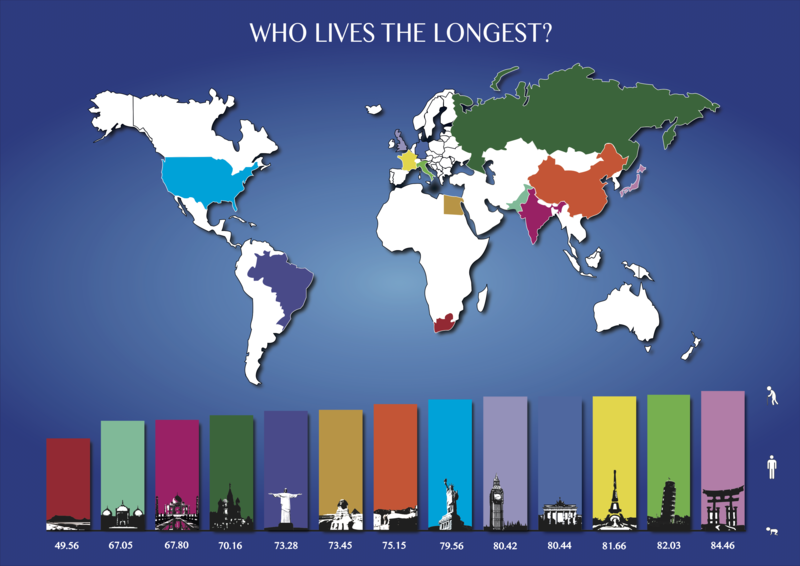 Infographic poster showing different life expectancies in the world. Creating this infographic poster was part of another one of my first year assignments at Bournemouth University. The task was to create a poster that presented current information about a topic with little to no use of text. We could choose the topic from a list; I went for the life expectancy topic because, as a subject, it interested me and I wanted to find out more about it. I read from information sources online and in magazines for this information, as well as the best ways of presenting this data. This was the first major project I created through Adobe Illustrator, as I had previously been used to Photoshop exclusively.